Being annoyed constantly by her two sisters, Blanc asked Nepgear to make her a watch that could make her invisible but ended up making a watch that let her make a body double instead. 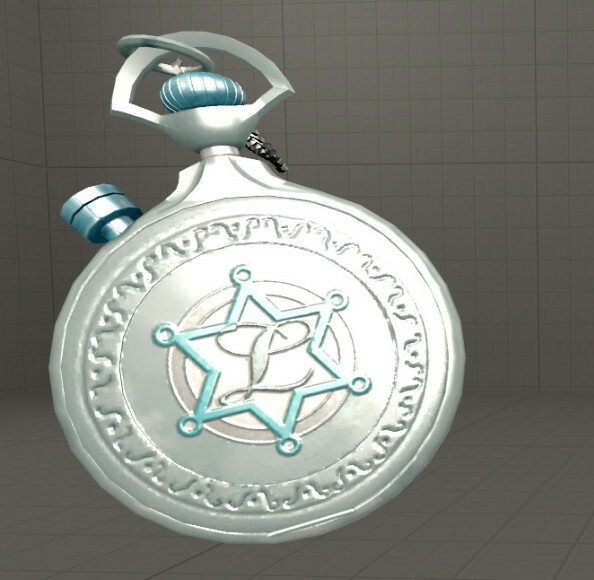 Despite the name means "Frozen Time" in English, this watch does not have the ability to stop time like a certain maid or vampire. It is unknown when Rom and Ram carved their name onto the watch.